Even though it has received official approval, the Federal Government has ruled out the immediate execution of the $16billion rail project in the eastern part of the country. Amaechi continued: “That is No fund for Eastern rail projects yet , why I was summoned. Don’t forget that the President sleeps and wakes up thinking about railway and if his blood pressure (BP) will not rise, I must see him and tell him how far we have progressed. Once he hears that progress is being made he feels a bit happy.” The minister said that one of the issues discussed with the President is the already approved Eastern flank of the railway modernisation spanning from Port Harcourt (Rivers State) to Maiduguri (Borno) cutting across Aba (Abia), Owerri (Imo), Enugu, Umuahia (Abia) to Makurdi (Benue), to Abakiliki (Ebonyi),and to Awka (Anambra), Lafia (benue) down to Bauchi, Gombe, Yola (Adamawa) and to Damaturu (Yobe) and ends in Borno State. On whether a Public-Private- Partnership (PPP) arrangement will be explored, he said that it was a difficult task because of the expensive nature of railway projects, but that the arrangement was more feasible for seaports. According to him, “that is the first line of action, we will try and see if we can work on PPP particularly as it pertains to the seaport. Don’t forget that two deep seaports have been approved -Bonny Seaport and the Warri Seaport. “For the Port Harcourt Railway Industrial Park, we should also be able to implement that through PPP. l hope we can but l doubt if it will be easy to get railway as PPP because it is quite expensive,” he said. 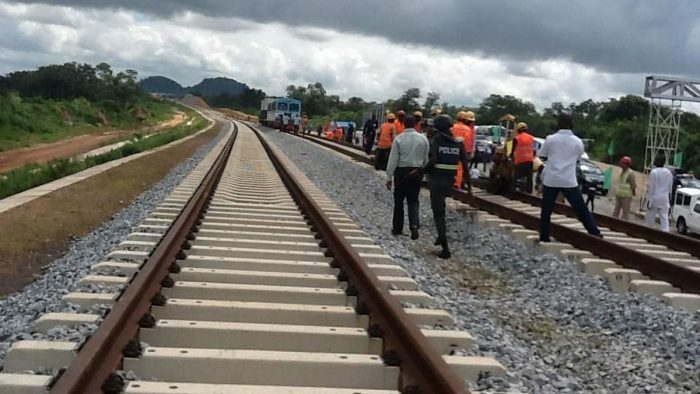 But for a similar rail project which links Kano to Niger Republic, the government has made progress on how to secure foreign loans to execute it. Amaechi said: “The other railway from Kano to Maradi in Niger Republic, I needed to brief the President about how we are progressing with negotiations of loans and others and our possible financiers”; as well as efforts to complete the Lagos/Ibadan and Lagos/Kano axis. He stated that the problem of gridlock on the road leading to Apapa Port in Lagos would be solved by December when the narrow gauge hitch would be overcome and trucking cargo from Apapa to Ebute-Metta-Lagos would begin. The minister also announced “between now and December; we are bringing in more locomotives, coaches and wagons, to ensure efficiency in the narrow gauge. We are expecting 10 for Kaduna-Abuja axis and another seven, which will hopefully go to Itakpe-Warri because we believe that by June, that axis should also come alive”. Amaechi spoke of the plans to construct two deep seaports in Bonny, Rivers State and Warri, Delta State; as well as the dredging of the Calabar Seaport through PPP and for which the Nigeria Ports Authority (NPA) has advertised for bids.